I didn't know what to expect when I headed to DC for the Early Career Leadership Fellow kick-off. It started with a long day of travel, and we were all a bit punchy by the time re rolled up to the Hilton. We're quite a mix of teachers. Balanced between the levels, and subject matters, from quite the variety of schools, and about a decade of age range. I am not the oldest person in the group! That aside, we had just a few minutes to change and walk over to the NEA building for dinner. The energy was high, and the welcome was excellent. Several people spoke including representatives from the NEA, and the Consortium for Educational Change (CEC), who are co-sponsoring this program. The highlight was definitely a short speech from NEA president Lily Eskelsen Garcia. She has a contagious, joyful verve about her. She also had a sweet bluntness that I somewhat associate with southerners. She seems the type that will tell you where to stick it with an unwavering authentic smile. Her speech centered around how grateful she was for early educators like us, reflecting on her experiences as an early educator, and her frustration with the 'old guard' at the time that didn't want to encourage her leadership or new ideas. She emphasized that the NEA values the leadership and ideas of new, young teachers like us, and encouraged us to be vocal and active, even if not everyone in our immediate circles likes what we have to say. If nothing else, hearing her speak energized me, and made me feel valued by the nation wide organization that supports teachers. The rest of the conference was focused on education about the union, both in general and at a local level, and familiarizing ourselves with out own leadership styles and those of our cohort. We networked, and had conversations. We talked about the different forms leadership can take, and we discussed the different types of unionism. The discussions on unionism provided the most new information for me. As a child of a teacher that once went on strike over Just Cause, I'm familiar with what they referred to as the 'Industrial' frame of unionism. Protection for pay, working hours, fair policies. This is a very important element of unionism, and something that the OEA, and local associations do pretty well. Oregon is comparatively a pretty great place to be a teacher. I'm also familiar with the political side of unionism. 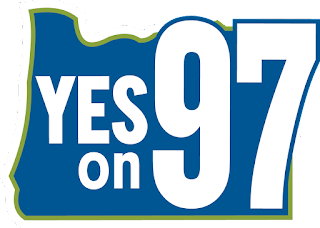 The NEA and other Education Associations spend millions each year on political campaigns supporting school-friendly ballot measures such as Measure 97 in Oregon this year, as well as candidates that are in line with the NEA's goals around education and social justice. The political side of unions seems to fall into both the other two frames; Professional Unionism and Social Justice Unionism. Candidates and laws can have massive effects of those areas, but I hadn't really considered just how much the union works, through research, advocacy, funding and lobbying, to emphasize professionalism and social justice. Many people who are skeptical of unions perceive them to protect 'bad' employees. However, it makes sense that the union would have a vested interest in ensuring that members are the highest quality of professionals that they can be. Likewise, a social justice focus on trauma informed teaching, addressing lagging skills created by Adverse Childhood Experiences (ACEs), informing educational practices with an eye towards equity and democracy. These too are within the realm of influence of the union. In particular, learning about how organizations like the Teacher Union Reform Network (TURN) and the CEC help facilitate constructive conversations between districts, administration, lawmakers and teachers opened my eyes up to elements of the union that I find much more engaging then simply the protective and political elements. At the end of the conference, we walked away looking ahead to find opportunities to engage with other early career teachers, for the purpose of hearing what they have to say and where they are at. I look forward to speaking with my fellow alt-ed teachers about what their experience had been, and where they perceive deficits. Through these sounding board conversations the other fellows and I will develop a Leadership Engagement & Action Project (LEAP) that addresses the opportunities we find. I hope I don't sound too much like a walking NEA ad, though I have no doubt that part of their goal, understandably, is to engage and excite young members for the benefit of the strength of the union. I don't begrudge them that because it was also very clear that our skepticism, challenges and questions were also very welcome. The leaders I encountered will thrilled to address and deal with our pointed questions and are ready to do the hard sell for us. This should be a really fantastic journey. You have to have a reason.